Today is World Health Day, and there is some bad news for Indian corporate employees. 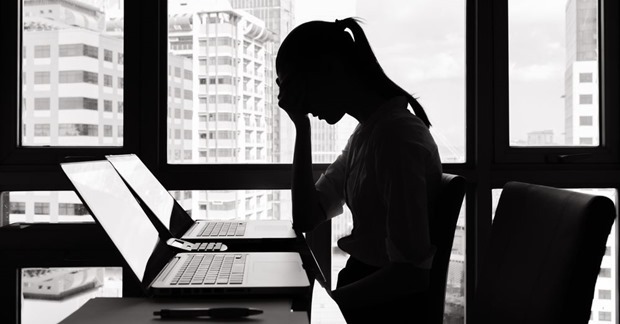 In a startling revelation by The Associated Chambers of Commerce & Industry in India (ASSOCHAM), it was found that 42.5% of all corporate employees in India are suffering from depression or general anxiety disorder. Other factors which contributed to depression among employees include: poor sleep habit, dependence of caffeine and tobacco, alcoholism and party culture, pollution, noise, working in shifts (which disrupts body cycle) and more. Interestingly, Government employees are not suffering from depression or pressure, as their work environment is less demanding. The research “Preventive Healthcare: Impact on Corporate Sector” was conducted by ASSOCHAM to understand the impact of work pressure on corporate employees, and sough feedback from 1250 employees from 150 companies across 18 sectors which includes IT, ITeS, Media, Telecom and Knowledge based Outsourcing companies and others. 55% of all surveyed employees were in the range of 20-29 years of age; 26% were between 30-39 years; 16% were between 40-49 years and 2% were between 50-59 years and 1% between 60-69 years. On an average, 200 employees from each of these cities were selected for this research: Delhi-NCR, Mumbai, Bangalore, Kolkata, Chennai, Ahmedabad, Hyderabad, Pune, Chandigarh, Dehradun. But why Indian Employees Are Not Able To Handle Pressure? Although ASSOCHAM informs us that Indian employees are facing depression due to tremendous amount of pressure, it is not clear from the report why so much pressure and performance demand exists in the corporate sector. Earlier, we had reported about employees getting fired from IBM, Yahoo, TCS, Infosys, and employee issues with Samsung. But again, such issues are prevalent everywhere, in almost every corporate environment across the world. Is there something inherently bad which Indian corporate sector which they are trying to hide? Are Indian employees prone to give in during times of stress and pressure or Indian managers are more evil and inefficient in handling the modern workforce? How can we solve this major psychological crisis which Indian corporate sector is facing right now? The reason behind all this is bad initial planning followed by overly ambitious managers having control over employees who cant rebel.